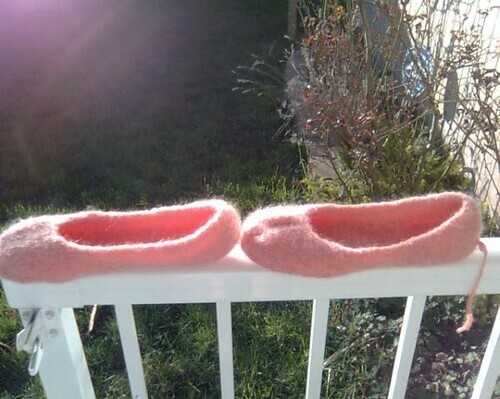 For Felting Freestyle some awesome French Press Felted Slippers. I love these things. I wear them all the time...even if they were supposed to be a gift. Oh well. 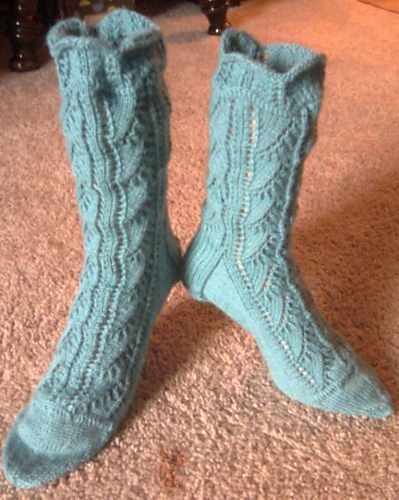 For Sock Hockey and Lace Luge I made the Lily of the Valley socks. That's right, two events, one project. You all already know how well that went. *grumbles* But they're finished and look wonderful. The picture looks a bit silly because the socks are made for a medium sized foot (mine) and the manikin feet are a size small...hence the little floppy bit by the toe. 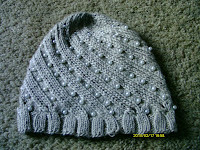 And the wonderful Odessa Hat that my friend Pinky ended up getting. 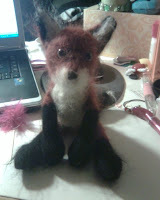 =) I really like this pattern and am thinking about making it again soon. God knows I have enough beads for at least 2 more. Also, last but not least I want to show off my latest love affair, Harvey. My slightly neurotic looking fox pup.